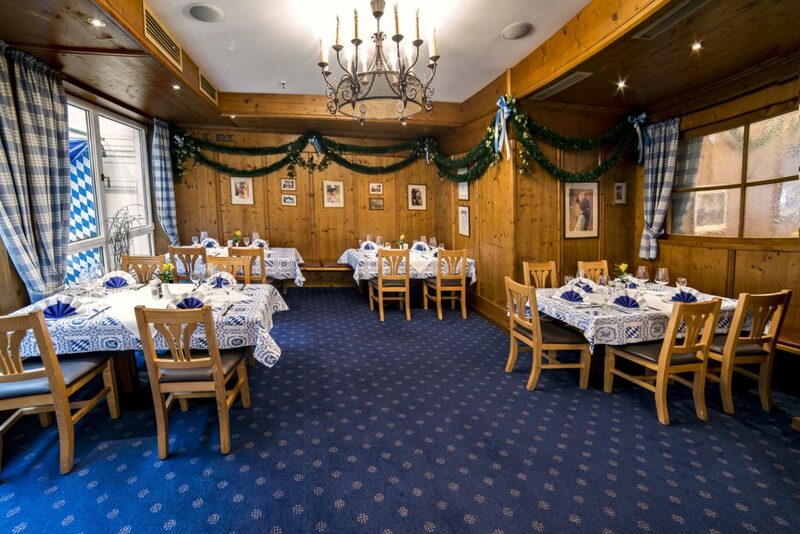 Our Löwenstüberl space, which is located on the first floor (aka “second floor”, for Americans), is ideal for small, private festivities. We can add movable dividers upon request. Air conditioning means that you’ll be comfortable no matter what time of year it is. Its large panorama window looks out over our lively courtyard, where you can watch the hustle and bustle in the restaurant if you choose. 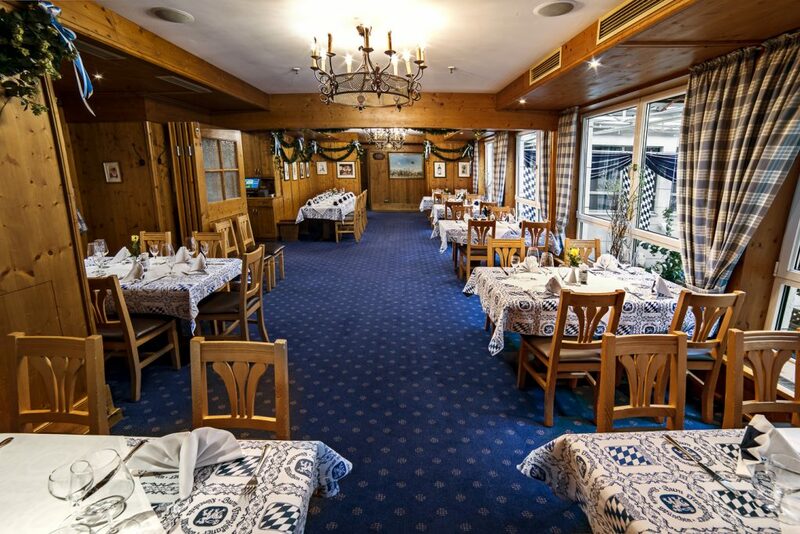 Around 10 to 20 people can be seated across the Löwenstüberl’s 19 square meters of floor space. The room measures just 4.9 by 3.8 meters, making it one of our smallest spaces. 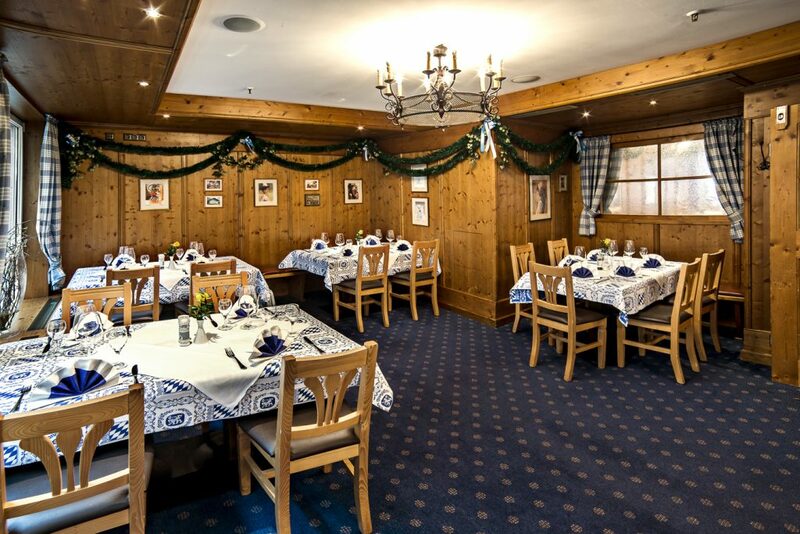 Warm wood paneling and a pleasant atmosphere are the perfect setting for a Bavarian evening par excellence. We’re happy to discuss your upcoming event by phone or in person. Alexander Strauhal can provide information on everything we offer. We’re already looking forward to helping you plan your event. Contact Alexander Strauhal via e-mail at: reservierung@zum-franziskaner.de or by phone at: +49 89 23181266.